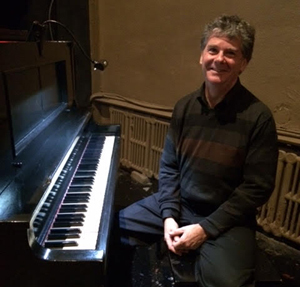 At the piano, accompanying Tillie’s Punctured Romance (1914) in Toronto at the Fox Theatre’s centenary celebration, Sept. 18, 2014. Photo courtesy Maureen Nolan. Silent films were never silent! Before the invention of the soundtrack in the late 1920’s, films were accompanied by live music provided by a pianist or organist improvising an accompaniment or by a full orchestra playing a composed score. The epitome of creativity and fun is the blending of improvisation, film and a live audience. I started accompanying films in the mid-1980’s. My personal Golden Age of silent film was the mid-1990’s to mid 2000’s when I mastered the craft by accompanying all the Cinematheque Ontario retrospectives of film Directors; Ozu (Japan), Dreyer (Denmark), Lubitsch, Murnau, Pabst (Germany), Sjostrom, Stiller (Sweden), Germaine Dulac, Georges Méliès, Louis Feuillade (France), Dovzhenko, Eisenstein (Russia), Hitchcock (England) as well as curated screenings of silent film stars such as Louise Brooks, Anna May Wong, Nell Shipman and many more. Taking over from Cinematheque Ontario, the Toronto International Film Festival (TIFF) at the Bell Lightbox has been screening several silent films each year, most recently the Chinese classic The Goddess and three films by Russian director Mikhail Kalatozov; Nail in the Boot, Twenty-Six Commissars and Salt for Svanetia, all of which I accompanied. Silent Sundays at the Revue Cinema and the Toronto Silent Film Festival also provide accompaniment opportunities for myself and several other talented accompanists. 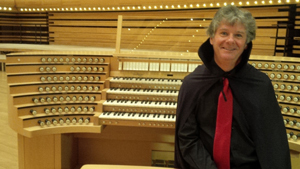 At the organ console of the Maison Symphonique de Montréal, screening of Phantom of the Opera (1925), Oct. 31 & Nov. 1, 2014. While the timeless comedies by Chaplin, Keaton and Harold Lloyd find a welcome anytime and anywhere, audiences in Toronto have a sophisticated appreciation for the artistry of silent film drama. 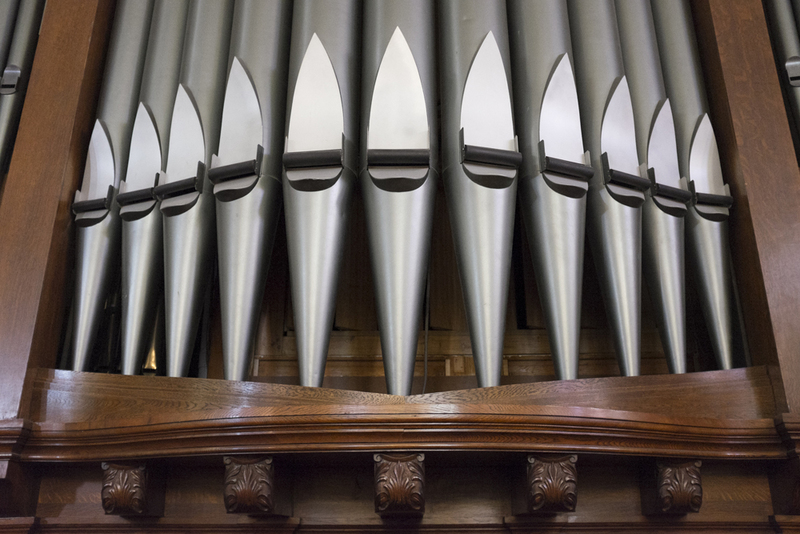 Around Toronto and across Canada, I accompany film presentations at music concert series, film festivals and special screenings, mostly on piano but also on pipe organ. 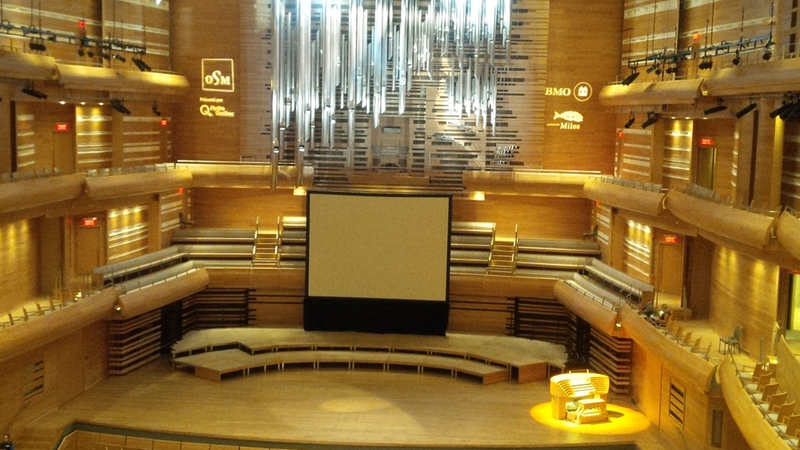 One recent screening with pipe organ was in the 2,000 seat concert hall of the new Maison Symphonique de Montréal where I accompanied two sold out screenings of Phantom of the Opera (1925) on the stunning new Casavant pipe organ (6,489 pipes). My style of accompanying has been shaped by my classical background and my attempt to enhance serious dramatic themes and plots through varied musical languages and techniques. For the big Hollywood blockbusters like Phantom of the Opera or Hunchback of Notre Dame, the musical language I generally utilize is derivative of late 19th and early 20th century orchestral music with a few modern flourishes. 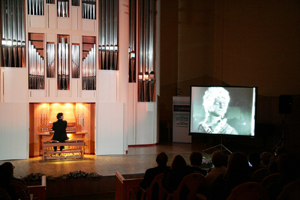 Accompanying Man with a Movie Camera (Dziga Vertov, 1929) at the Perm Organ Festival, Russia, November 2007. Likewise for film comedies, though these are greatly enhanced by introducing some popular musical styles and dance rhythms of the 1920’s. Dramas and art films allow for musical styles and techniques from the late 19th and early 20th century through to modern techniques such as bi-tonality, atonality, quartal harmony, minimalism, Messian’s modes of limited transposition, whole-tone and invented scales, all of which can be particularly effective in piano accompaniments. Some silent films eschew narrative (i.e. Man With a Movie Camera, Berlin, Symphony of a City, Douro) offering tremendous opportunities for musical invention so long as the accompanist respects the dictum that the music serves to enhance the film, not to compete with it for attention. 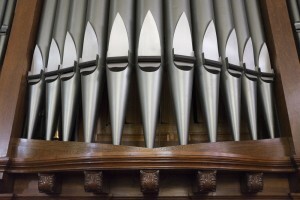 Nevertheless, the receptiveness of film audiences to contemporary musical techniques and harmonies, used tastefully and artistically, is thrilling and a spur to ever more creative accompaniments. The best compliment an audience member can give me after a screening is to say that the music matched perfectly and that they forgot that I was even there.